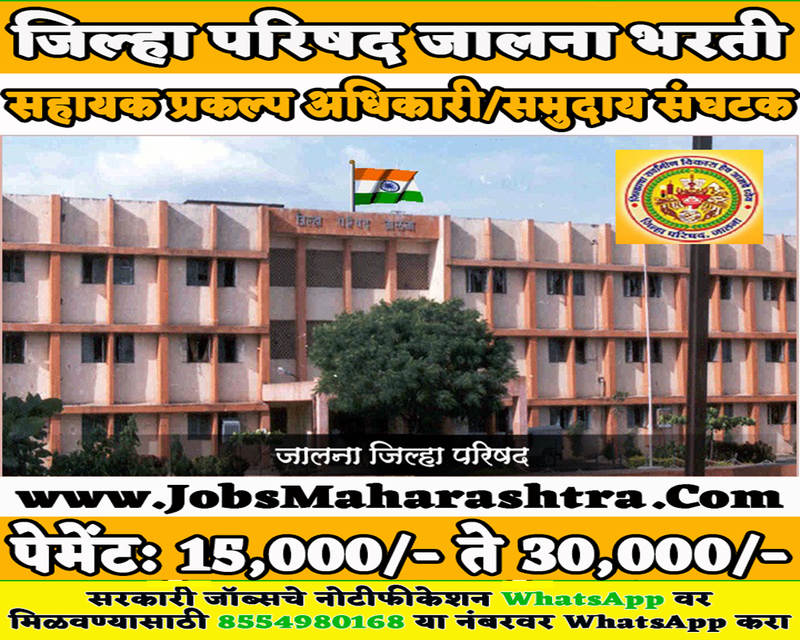 Zilla Parishad Jalna inviting applications for Assistant Project Officer & Community Organizer Posts. Interested and Eligible candidates who wants to apply for these posts kindly submit their applications by hand along with attested copies of certificates on below given address before 19 January 2019. For more details like age limit, salary, how to apply, selection process please refer the below article. The minimum age limit for this post is 18 years & maximum age limit 45 years. Challan form is attached to the departmental advertising PDF. Applications will be accepted as per the format attached to the advertisement only. Kindly submit the form by hand along with attested copies of certificates addressed to Nagar Vikas Shakha, Jilhadhikari Karyalay, Jalna. Written and oral examination can be organized as per the requirement for selection on this employment post. Best performing candidates can be selected. Please refer the departmental advertising PDF for more details for selection process.